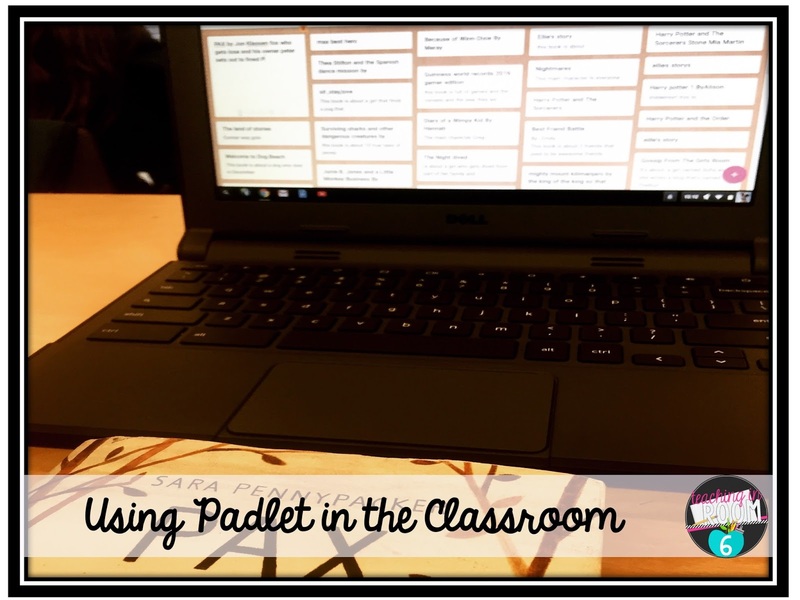 This summer I was introduced to a new form of technology called Padlet. Basically, it is a bulletin board that the students can post on to record their thoughts on any matter of subject. They can add pictures or website links as well. 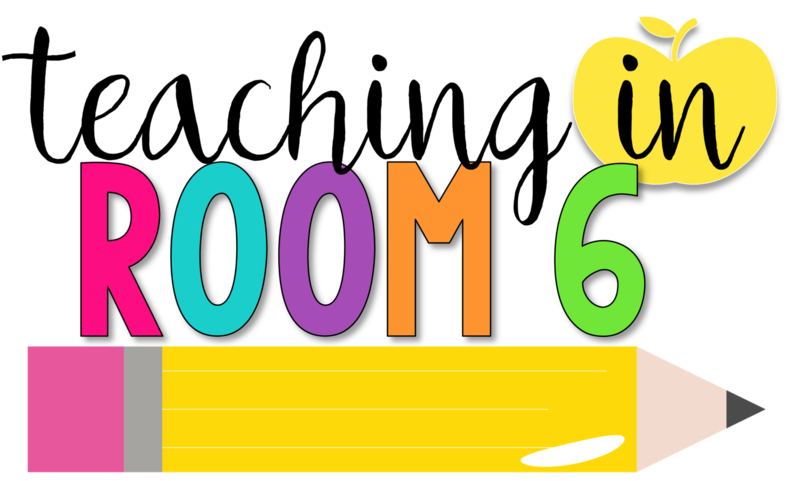 After using this myself, with a group of teachers, I knew that my fifth graders would LOVE to us the forum as well. So once a week, for a total of 15 minutes, I have been doing what I call "Book Brag Padlet". What I love about this is that the kids are so invested in using the platform. They are just pulled in. They really like seeing each other typing at the same time and reading about each other's books. They are learning about not just their own setting, but the setting in 33 other books. I also love that I can instantly tell if someone is reading or not. They are writing "on the spot" and that is very hard to do if you have nothing to write about because you aren't reading anything. I have also used Padlet as a sort of group brainstorm outlet. When introducing my students to the idea of European exploration of the new world, I showed each group a painting that captures the moment when the Spanish met the Native Americans for the first time. I wanted them to write down all of the things they saw going on in the painting....the emotion, the body language.....so I had them create a Padlet with only the members in their group. Then, instead of just one person writing and everyone else sort of sitting back, each group member could be writing down their own ideas while still discussing with their group mates. More people were actively involved than the traditional paper and pencil activity. To set up the group Padlets, I simply set up 6 individual Padlets through my account. I then created 6 assignments, with the links to each individual Padlet, in Google Classroom. I told each group their number, and that is the assignment they clicked on in Google Classroom. All in all, I am so excited about this new form of technology I am using. I know there are SO many more ways it can be used in class. I have only hit the tip of the iceberg. Have you used Padlet before? How do you implement it with your students? I love pallet too! Students have used it as a tool for feedback after projects. We use it to share new knowledge during a unit. 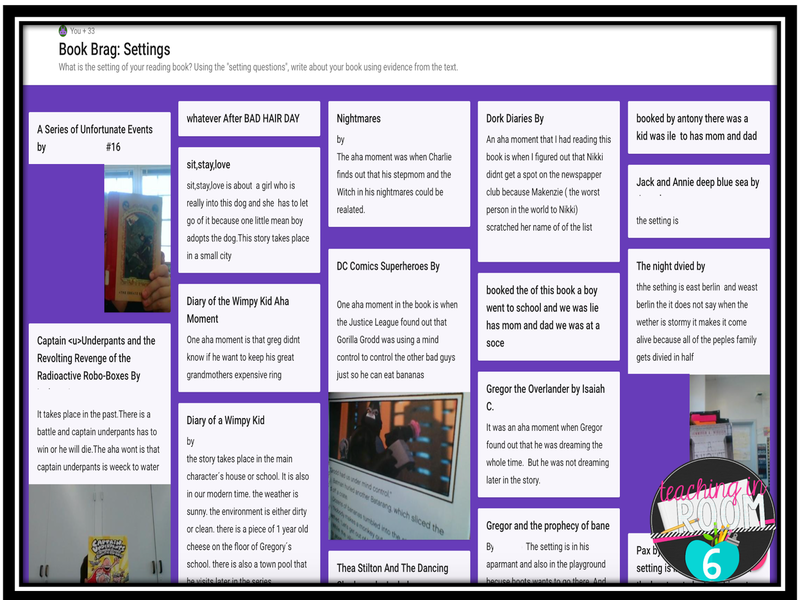 Love the idea of a Book Brag Padlet! I am thinking of having a "Golden Line" Padlet. Students choose golden lines/powerful, meaningful or beautiful lines from books and share on our Class Golden Line Padlet. Thanks for the inspiration! Cool idea! I am going to try and use that one day! I used padlet last year after each writing mini-lesson. 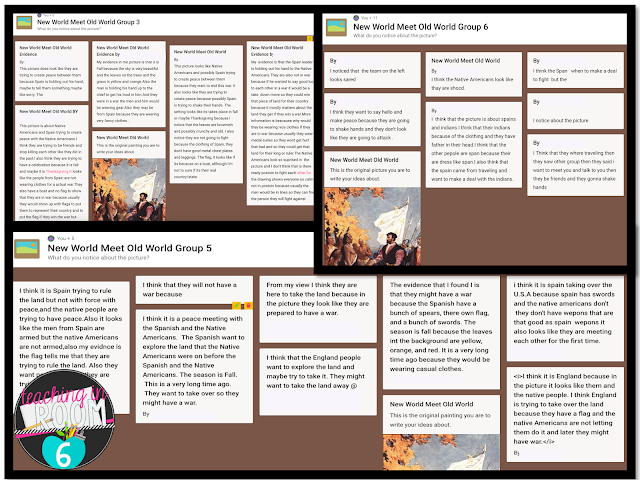 For example...a lesson on hooks...the kids had to get on padlet and use one of my strategies applied to their personal narratives. The kids had fun with it ended up revising on padlet by posting several post its up there...or they would delete and create a new one. 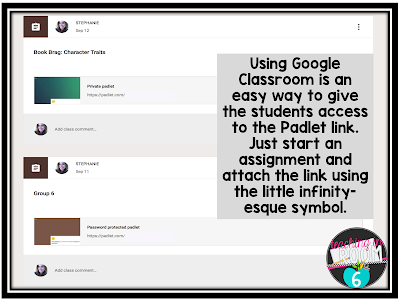 Ultimately, they copied and pasted from padlet onto their Google docs and it was pretty seamless! Don't have great laptop access this year. Do you know if it works from a phone? 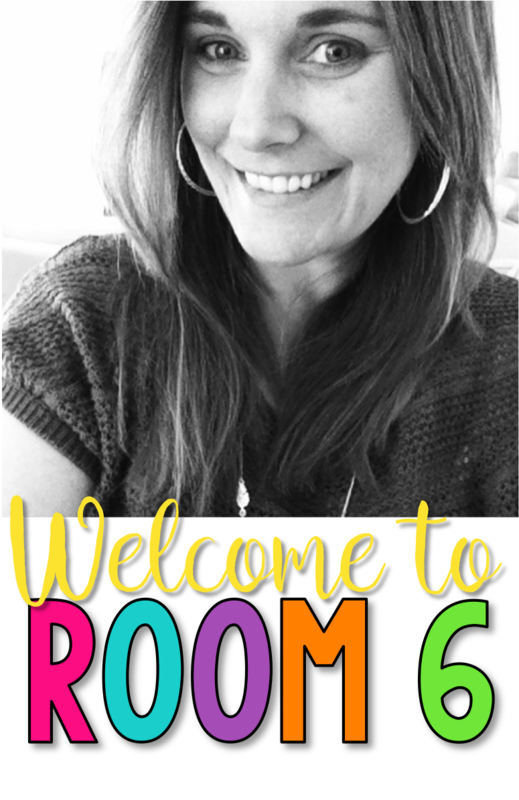 I've never heard of this program before, but I'm also an upper grade teacher looking to work with students on the computers in ways OTHER than word. Our school uses Office 365 instead of google classroom (ugh - I'm not a fan)...I'm going to have to try this program! I love using Padlet. It is also a great way for students to share projects like photos, google slides presentations, etc.. Since they can upload photos or links too! This is the first I've heard of this interesting technology. LOVE the idea behind it though. Sounds amazing! Does your school purchase it? I just started using padlet this year. Recently, each student started their own padlet to keep ideas for writing. Now if they think of an idea, or need one, they have a place to go that they can access from school or home! I would like to use this with my kids. IF you have different questions/ topics would each of those be their own padlet? Do they each need their own QR code or link? Thanks.